While most of the country is suffering from “Polar Vortex” we lucky people in Southern California are enjoying beautiful weather. 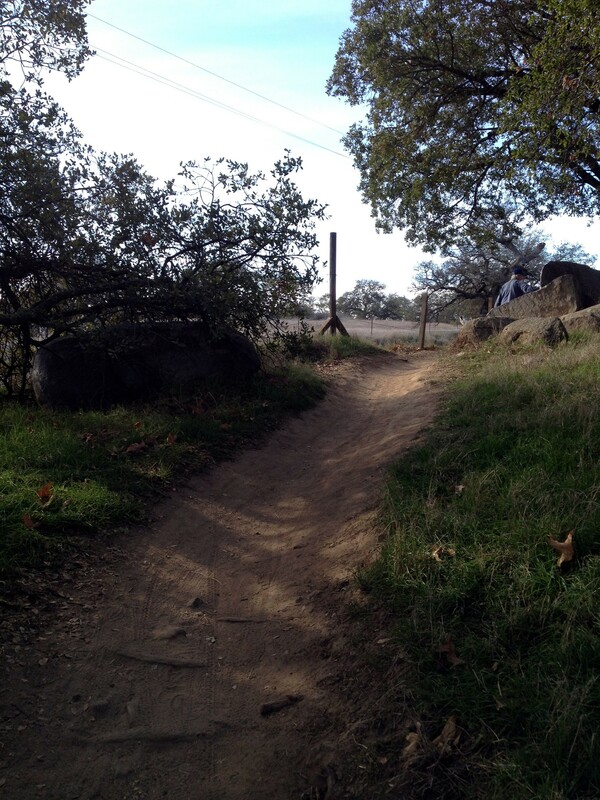 Dan and I hit the trails for a hike. 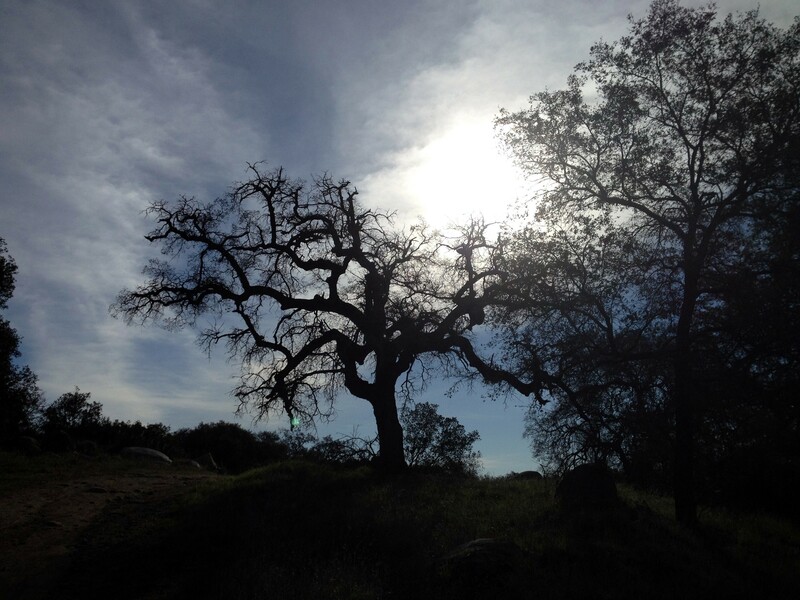 Back to the Santa Rosa Plateau to walk in the Sylvan Meadows Trailhead. Not quite as challenging as our New Year’s walk, this trail is much more level, no climbing, and full of little surprising pathways. We walked for an hour and a half. Peaceful, quiet, with the exception of the birds in the trees. most everything on the reserve is the dried remains of summer and fall, but every now and then we would see a patch of bright green, or a small stray flower. As anyone who reads my blog knows, the last several months have not been easy. Today as we neared the end of our walk I said to Dan, “No matter what else happens in our life, no one can take this from us.” There are those moments in all of our lives that stay with us, however small, however fleeting, that are ours alone to treasure. Today we had more than a fleeting moment, we had more than an hour where our worries were somewhere else, where we enjoyed each others company, and the world around us. I took some photos with my phone, I’ll share a few here, but I also was inspired to do a little watercolor, an ode to our beautiful morning. To my family in the midst of the “Polar Vortex”, miss you all but…. I love Southern California Winters! 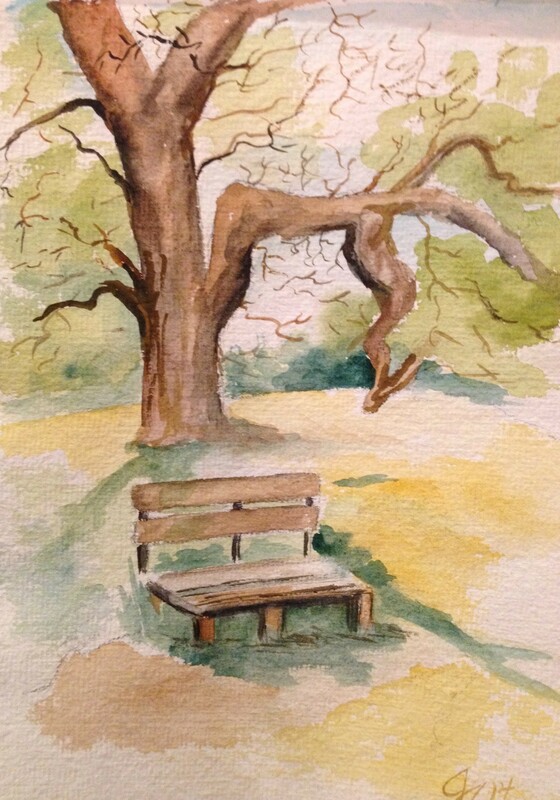 This entry was posted in art, Art and my life, Family, Fine Art, Humor, Painting, Photography, Uncategorized, Watercolor, Words, Writing and tagged art, California, Family, Fine art, humor, life, loving words, painting, Photograph, photography, projects, thoughts, Visual arts, watercolor, writing. Bookmark the permalink.